What do you do with a plethora of gigantic heirloom tomatoes? Make salsa of course! My dad picked up some wonderful tomatoes from a road-side stand this weekend and rather than let them go to waste, I thought I would try my Uncle Jim’s salsa recipe. 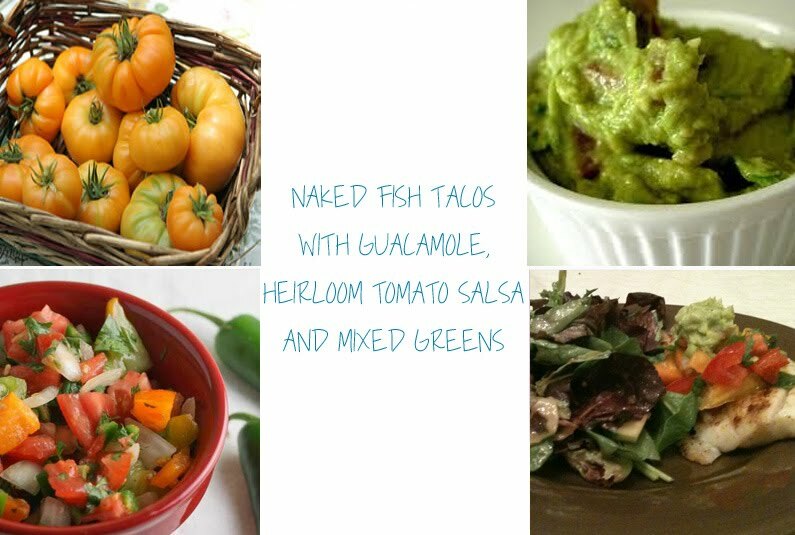 I started with the salsa, a quick one-avocado guacamole and paired them with my fish taco recipe and voila! instant mexican fiesta for one.